The fall weather is upon us and what better time to spend a weekend in Skaneateles enjoying the sights, sounds, and exquisite weather. Just perfect for leisurely strolls throughout the village! With the summer now behind us, there are just as many options for activities and entertainment here, but without the larger crowds. And soon, the foliage will be brightening up the horizon just in time for that photographer in you to get those memories on film. Well, digitally anyway these days! No matter the season, it’s all ways the right time to visit the Village of Skaneateles. 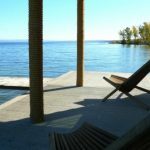 There are numerous places to stay in the Finger lakes, but Skaneateles luxury rentals could make all the difference in the world to your comfort and enjoyment. Our properties are individual, private homes, well-maintained and exquisitely furnished to provide you with the like-home feeling. Many of our Finger Lakes vacation rentals offer ample room for entertaining, private locations, and just a short walk onto the main street through the Village. View our vacation rentals here and pick your next place to stay when you visit us in Skaneateles. Skaneateles offers an abundance of ambiance, quaintness, history, and shopping opportunities for the entire family. This is also a perfect romantic getaway for couples to enjoy a delightful vacation here in the Finger Lakes. Nothing can really compare to a stroll through the village or a quiet rest by the lake. Many activities are still open and you can even enjoy a cruise onto the lake with one of our fine fishing tour providers. With over 28 restaurants and 5 wineries, there is no excuse for enjoying some of the most delectable meals in the entire Finger Lakes region. Skaneateles is no exception when it comes to some of the best of the best. Shopping along the main street will bring you to the doors of many fine establishments offering beautiful artwork, services, clothing, and boutique shops for your pleasure and browsing. Many fine products are available that would make lovely additions to your home or the perfect gift for that special someone. Now staying the weekend in Skaneateles has you wondering where to start. There are many fine choices, but when you want an experience to remember, Finger Lakes vacation rentals offers you luxury lodging that will give you everything you could need or want. Our vacation rentals are private homes that we maintain meticulously for your vacationing pleasure. Skaneateles luxury rentals can make your special weekend here absolutely perfect in every way. No stuffy, boring motel room. No noisy neighbors. Room to stretch out, relax and rejuvenate are just some of the reasons you should consider one of our fine vacation rental homes. Spend a weekend in Skaneateles….or a week. Enjoy the best the Finger Lakes area has to offer and never forget this amazing adventure along the shores of Skaneateles Lake in a lovely village with everything you need. Fall is one of the most wonderful and colorful times of the year. This is the place to be if you’re traveling to the Finger Lakes and wishing for a sweet and special weekend or extended vacation.